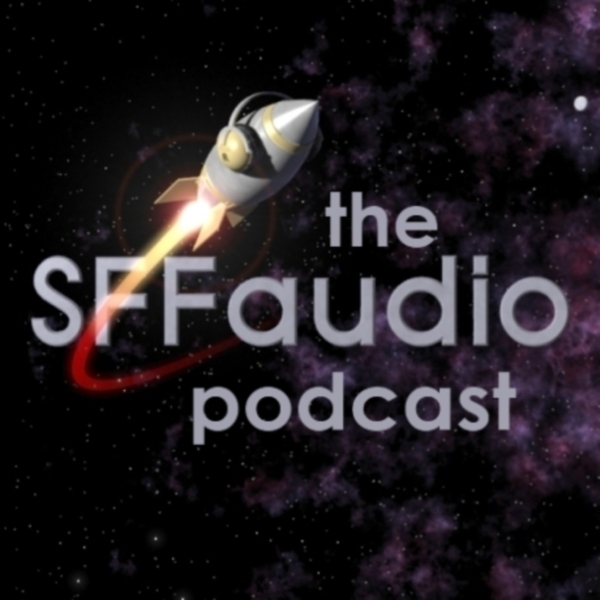 The SFFaudio Podcast #252 – Jesse, Tamahome, and Jenny talk about NEW RELEASES and RECENT ARRIVALS. 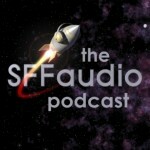 Talked about on this episode: Original fiction from Tor.com featuring stories from Brandon Sanderson, John Scalzi, Charles Stross, and others; The Man Who Sold the Moon short story collection by Robert A. Heinlein; Jesse has fun trying to pronounce “elegiac”; the Internet Speculative Fiction Database (ISFDb); “Simon pure” science fiction; The Caves of Steel by Isaac Asimov; Heinlein’s short fiction versus his novels; Have Spacesuit Will Travel; Annihilation by Jeff VanderMeer and comparisons to The Martian Chronicles by Ray Bradbury; The Hunger Games by Suzanne Collins and the merits of the Catching Fire film; the politics of dresses in the Hunger Games universe; Archetype by M.D. Waters; gender in dystopia; listening to audiobooks at 2x speed; The Loon by Michaelbrent Collings; Christopher Golden’s Snowblind; Phantoms by Dean Koontz; 30 Days of Night; Marko Kloos’s Terms of Enlistment and Lines of Departure; The Master of the World by Jules Verne; find out where grits came from; Jules Verne’s science is awful; The Wreck of the Nebula Dream by Veronica Scott; “I’m the king of the world!”; A New Beginning by Craig Brummer; Honor Among Thieves, a Star Wars novel by James S.A. Corey; Tam gets a Star Wars geography lesson; Jenny gets a Star Wars fashion lesson (hint: the guys in white are NOT the good guys); Tam is dressed as Princess Leia; The Gods Themselves, a strange book by Isaac Asimov; Shovel Ready by Adam Sternbergh; Mystery Men; Atopia by Matthew Mather; Influx by Daniel Suarez; The Emperor’s Blades by Brian Staveley; Dawn of Swords by David Dalglish and Robert J. Duperre; The Land Across by Gene Wolfe; ruritanian romance and Bangsian fantasy; don’t call if Kafka-esque; Moon over Parador starring Richard Dreyfuss and Double Star by Robert A. Heinlein; A Darkling Sea by James Cambias (not yet in audio); V-S Day by Allen Steele (Locus review); The Martian by Andy Weir; The Scorpion Game by Daniel Jeffries (no audio, Tam’s Goodreads review); Eldrich Tales: A Miscellany of the Macabre by H.P. Lovecraft on Downpour; Stories of your Life collection by Ted Chiang now available in audio. Oh, and new audiobooks of great previously published books, including Gabriel Garcia Marquez’s One Hundred Years of Solitude, read by John Lee, Jonathan Lethem’s Motherless Brooklyn, Octavia Butler’s Patternmaster series. Some new audiobooks of more recent books, too, the UNFETTERED anthology, and Clay and Susan Griffith’s The Kingmakers, read by James Masters (which finishes up the Vampire Empire trilogy). And put me on the “sometimes listens at 1.5x speed” side of the argument. Not too often but sometimes the narration is just. that. slow. Thanks Samuel! I had a good feeling at the end of this one too. Most of the time. I just hit another read-by-author title and had to slow it down. I have On Such a Full Sea on my to-read list, but hadn’t come across it on any audio listings, so thanks!